With more supported file types than anyone else, DroneLogbook is the leader when it comes to automating flight logs across platforms. The most important part of your commercial operations is making sure you stay compliant. 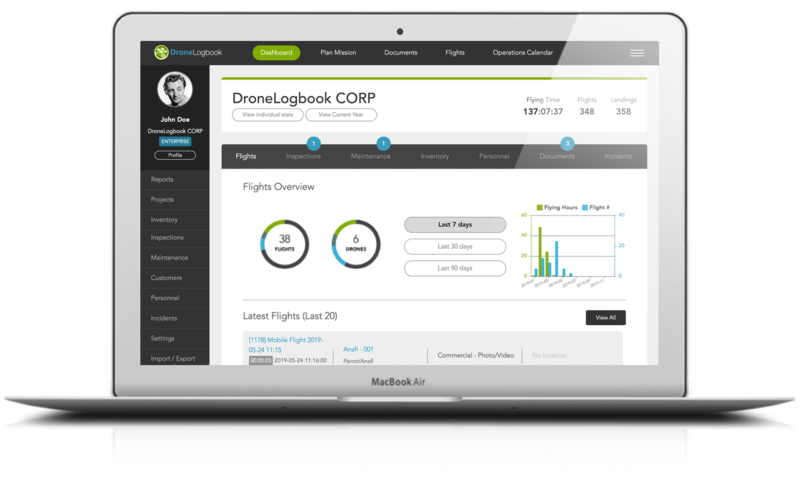 DroneLogbook tracks all your operations to allow you to create reports in seconds. 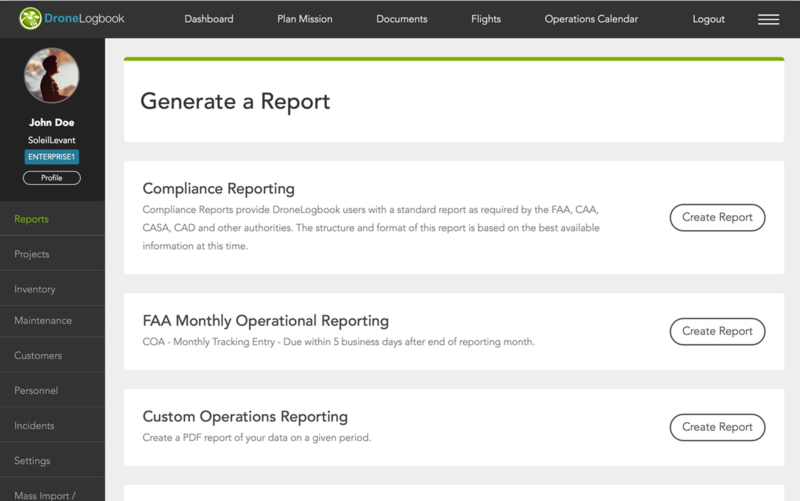 Generate compliance (FAA, CAA, CASA, CAD, EASA, DGAC, TBST) reports in seconds. Regulatory agencies require you to produce records on demand. 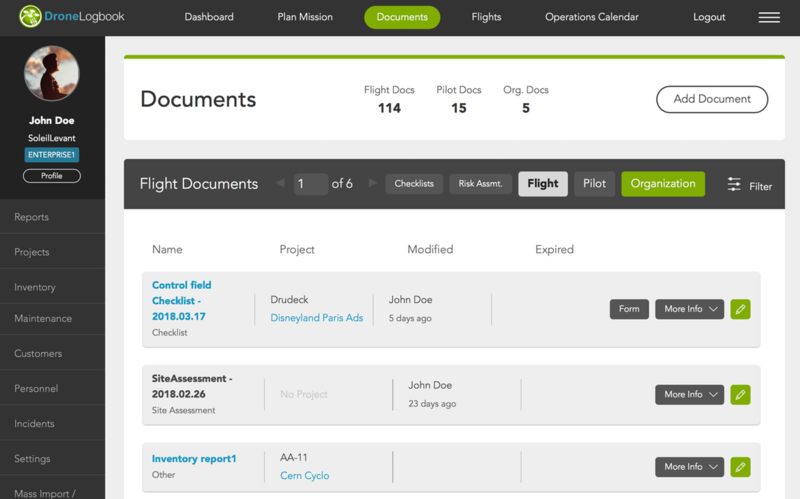 In addition, we have a series of custom reports available to allow you to track pilots, flights, maintenance and more. DroneLogbook makes it that easy. DroneLogbook provides a digital document library with custom checklists and risk assessment forms. In addition, you can upload hard copies of other forms if needed. 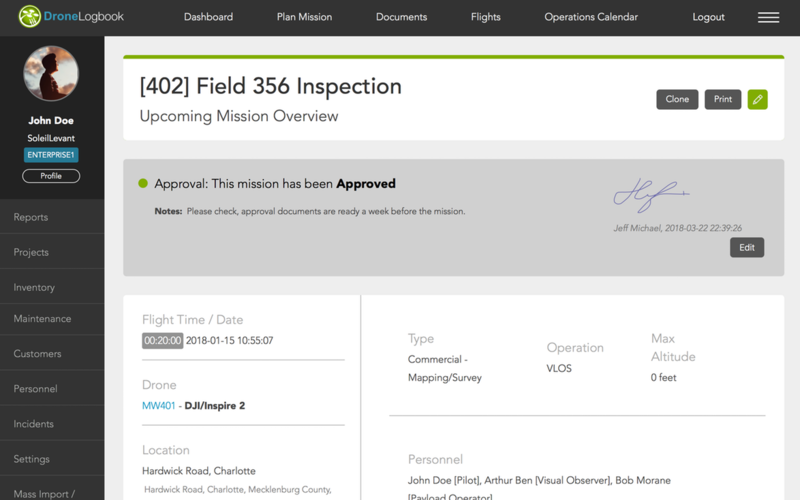 Create documentation electronically (Authorization Forms, POA, etc) Attach pre and post flight documentation to flights. Track maintenance operations. 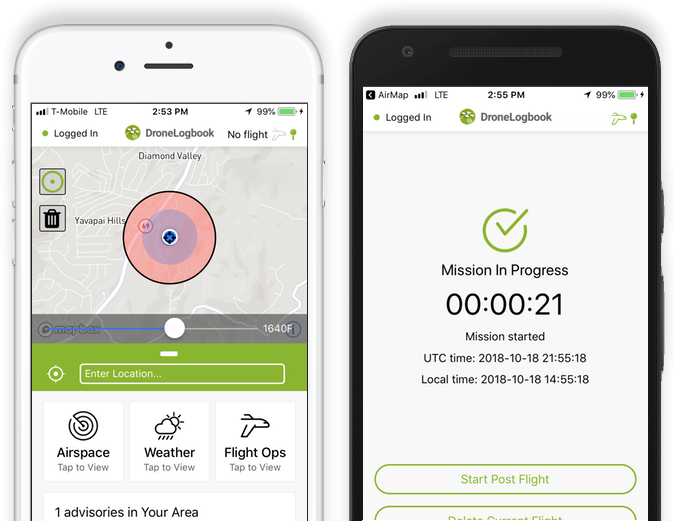 DroneLogbook allows you to plan missions, assign personnel and equipment and check airspace status in minutes. We also provide an operations calendar so you can view your past and future fights in a single screen, providing the information you need at your fingertips. We are actively working with the best in the industry to provide the tools you need to optimize your workflow. Stay informed as we continue to move forward and build DroneLogbook. The DroneLogbook solution is based on a cloud infrastructure with secure data storage, online web application accompanied by our mobile application for offline access and easy synchronization with your cloud based account. In addition, the mobile app provides you with access to the latest airspace status updates, local weather and solar index reading that might affect your operations.